The Weinberg Center is a showcase for performing arts in Frederick that enhances our area’s cultural life. 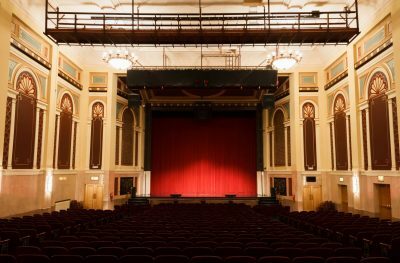 Frederick’s historic 1926 movie palace is home to year-round quality entertainment: professional music, dance, and theater; classic movies, and family entertainment. The season begins in September each year and concludes the following May. For a complete listing of events, please visit WeinbergCenter.org. Free backstage tours are offered on a regular basis; more information can be found at WeinbergCenter.org/Tours.